In 1870 the Willis brothers gave their real estate the Houston and Great Northern Railroad in order to lay a track from Houston to Chicago – and Willis Texas became a community. After the trains started running through, the community began to grow quickly. The tobacco industry and tobacco farms played a critical role in the growth and development of the community throughout the late 19th century but other cash crops such as tomatoes, cotton, ans watermelons also played a vital role in the economy growth of the city throughout the years. Keeping your Willis property well-maintained and looking great is a top concern, but you may struggle to achieve that like-new appearance that you desire. At Pressure Washing America, LLC we provide local residents in Willis with efficient, effective pressure washing services for both residential and commercial properties. Our services are ideal for cleaning everything from decks and fences to concrete, stone, stucco, siding and more. We even offer special cleaning services for more fragile exterior surfaces like windows and roofs. Just as you would take time to thoroughly clean the interior of your home, the exterior also needs to be cleaned. General dirt and grime can accumulate on all of the hard surfaces of your property, and some of these elements, such as mold and algae, can actually cause deterioration of some materials. Removing the grime and filth is necessary to improve curb appeal as well as to keep your home looking great. At Pressure Washing America, LLC we use the right amount of pressure combined with a safe detergent to clean these surfaces. After our team has completed the work, your property will look like new. 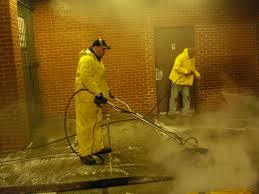 Our pressure washing services are also ideal for improving your commercial property. We are available to clean the exterior of all types of commercial properties in the local area, including office buildings, retail centers, restaurants, apartment buildings and more. Your customers and clients may form an opinion about your business based on how well-maintained your commercial property is, and our services can be used to ensure that the first impression is a great one. Pressure washing is also a great way to keep repair issues related to mold and algae growth at bay. In addition to cleaning concrete, decks, fences and other similar surfaces, we also can clean your roof. Roofs must be cleaned with care due to their high elevation, steep slope and special roofing materials. This is not a task that you want to tackle on your own, and you can count on Pressure Washing America, LLC to deliver wonderful results. 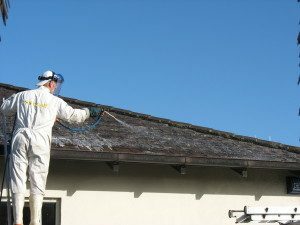 We can remove stains, dirt and grime on your roof using a low pressure technique. Our skilled specialists know how to get the job done without damaging your roof. To learn more about our pressure washing services or to request a power washing estimate in 77318 or 77378 contact us today!